MetalRockNews: Metallica's James Hetfield: "I'm really proud of 'Lulu' album"
Metallica's James Hetfield: "I'm really proud of 'Lulu' album"
Metallica's James Hetfield was recently interviewed by fan club magazine So What!, Hetfield, you can read some excerpts below. About album "Lulu" with Lou Reed, Hetfield said: "We've been extremely either bullheaded or lucky or something. We've been maybe very jaded in that things have worked pretty well for us. We're perfectionists. We're really extremely self-critical. It's gotten us to where we are, but it's also the curse. When something doesn't go right, I come down so hard on myself. 'Lulu' wasn't accepted as much as we accepted it. I'm really proud that we did it. It was fun, it was an adventure. And there are a lot of bands out there that do adventures that kill them, whether it's choosing the wrong management or making a bad investment or something like that." He continued: "We've got this dedication and loyalty to this band that no matter what, nothing can kill us. Whether it's Cliff Burton, Jason Newsted leaving, 'Some Kind Of Monster' movie, the drama that's going on now, there's always something that we stick together with and survive through. So 'Lulu' brought us together even more." 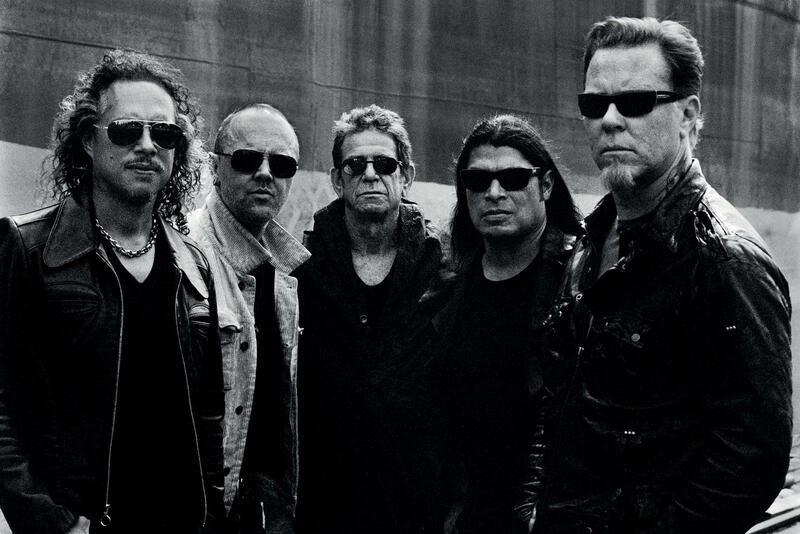 Hetfield added: "There's certain artists that stand up with you and say, 'Hey, I like it. They're artists! They had fun! It's something they wanted to do and they did it.' You don't have to like it, I get that, and there are people that are articulate enough to be able to say it that way: 'I might not like the project, but I'm really glad, as an artist, they took a risk and went for it.' I think it comes down to personalities. You either want things to be safe, and you invest in them so much that if it's not safe, it rocks your whole world, or you look at life as an adventure."